Are men and women that different? The answer assumed by much of our culture is, “no.” But any woman who’s had a baby knows better. The idea, driven into our culture by the forces of the sexual revolution, that men and women are basically the same with very few minor, external differences is now largely taken for granted. What I call the “gender revisionist” movement is at full steam. Some parents are now even attempting to raise their babies as “theybies,” which means not “assigning” a male or female gender to their children until they’re old enough to choose it for themselves. The problem with the new gender fad is that science keeps reminding us that men and women are profoundly different. And that we should be thankful for this. A recent essay in the Boston Globe highlighted just how visible this difference is at the neurological level. Using modern imaging technology, researchers can peer inside the brains of expectant and new mothers, and they’ve witnessed the unique and life-altering changes that occur. This remarkable new “discovery” comes as no surprise to women who have experienced pregnancy. Chelsea Conaboy, for example, confessed in the Globe article that her tendency to be a worry-wart ramped up after having her son. And we’re now discovering that what’s at the root of this transformation is a radical restructuring of the brain that occurs in nearly all women when they become mothers. To call motherhood a “major event” for the mother is the understatement of the century. But University of Rennes researcher Jodi Pawluski clarifies that it’s also a “major event” for the brain. A 2016 paper published in “Nature” details how brain imaging has revealed dramatic changes in the volume of gray matter in new mothers’ brains. These changes are concentrated in regions involved in social interaction and “theory of mind,” which is the mental ability to “put yourself in someone else’s shoes.” In other words, the brains of new mothers literally reconfigure themselves for empathy and understanding. 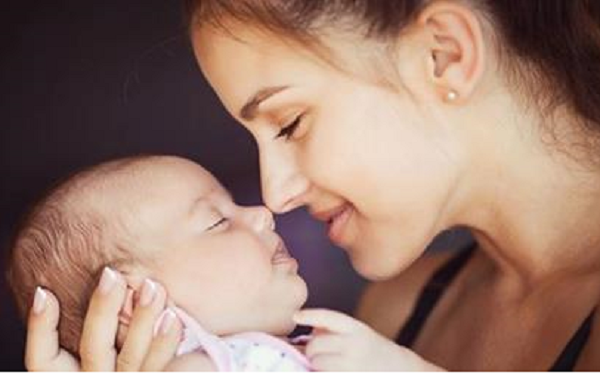 The surge of hormones associated with pregnancy and birth appears to trigger these changes, and may even equip women to better cope with sleep deprivation and multitasking that always comes along with the new little bundle of joy. This incredible transformation does more than just keep the baby safe. According to Israeli neuroscientist Ruth Feldman, it shapes a newborn’s brain as well. The basic neurological circuitry our brains develop when our mothers first hold and kiss us is the same circuitry we later “repurpose” to connect with friends, spouses, and even fellow players on sports teams. We quite literally carry the marks of our mothers’ love with us wherever we go, for the rest of our lives. Men don’t experience this automatic, birth-induced brain renovation. Rather, research suggests that fathers’ brains are altered by something else: involvement. The more time a father spends caring for his child, “the more activated the parental network in his brain becomes.” Whereas mothers’ brains reconfigure automatically, fathers must choose to mold themselves into caring and protective parents. Modern neuroscience just doesn’t support the idea of two interchangeable and indistinguishable sexes that can be combined any way we like. Rather, we are getting a clearer picture of two fundamentally different, complementary sexes, designed to play unique roles. And now that we see a mother’s brain on an MRI, this picture is clearer than ever. Thanks, Mom. LifeNews Note: John Stonestreet writes for BreakPoint.org. This article was originally posted here.